Tesla is now building cars equipped for full self-driving. The cars aren't smart enough yet to use this new technology, but Tesla says they will learn fast. Software capable of using all the new equipment will be added a little at a time over the coming months. Tesla expects that, by the end of 2017, one of its cars will be able to drive from New York City to Los Angeles without the driver having to do anything, Elon Musk said on a conference call Wednesday night. True self-driving isn't possible with the equipment that has been installed on Tesla cars up to now, no matter how much Tesla improves the software, Musk said. But now the cars are being built with more cameras, enough to give computers a full 360 degree view around the car, as well as improved sensors. They are also being built with computers that are 40 times faster than the ones that been previously installed in Tesla cars. "It's basically a supercomputer in car," Musk said. At first, the Tesla cars with the new hardware will actually be less capable than cars with the old hardware suite. That's because all this new hardware needs new software to run it. That software will be rolled out over the coming months as it's developed and tested. Before long, the new cars will surpass the old ones in their ability to drive themselves. Musk said. While today's Tesla Autopilot is designed to function only on limited access highways, the new self-driving system will be able to function even on city streets with pedestrians, cyclists and complex intersections, Musk said. Because of the complexity of the equipment, it won't be possible for owners of older cars to have their vehicles upgraded with all the new cameras and sensors. Full self-driving will only be available to owners of new Model S, Model X and, eventually, Model 3 cars. 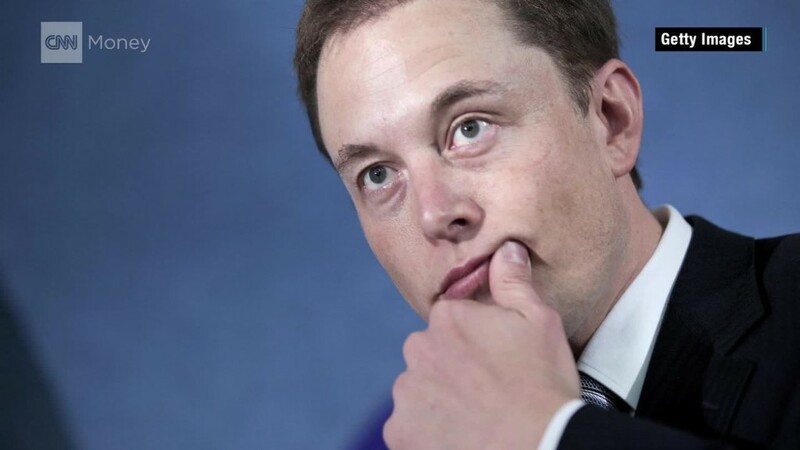 "Upgrading cars is not realistic," Musk said. "It's like giving cars a spinal cord transplant." Before adding new software capabilities, Musk said, Tesla will validate them through millions of miles of real-world testing. For instance, software will run in the background on cars but not take any real action. In this way, Tesla will be able to gather data comparing what the computer would have done to what the driver actually did. The computer software should be better than a human driver at avoiding crashes. The new system will not be called Autopilot, Musk said, because that name refers to the driver assistance features that are on Tesla cars currently. Musk justifies that name -- Autopilot -- because autopilot systems on airplanes don't replace human pilots but only assist them. Tesla Autopilot is not intended to drive the car on its own, only to assist a driver behind the wheel while that driver is expected to be fully attentive at all times. By contrast, the systems based on this new hardware will be expected to completely handle the task of driving. Ultimately, the cars will even be able to do things like legally park themselves by reading parking signs. Tesla's current Autopilot system has suffered from some bad press this past year, including one fatal crash in which a driver in Florida, traveling at high speed, hit a semi truck that was turning left in front of him. Nevertheless, Musk has insisted, even the relatively limited Autopilot system has avoided far more crashes and deaths than it has ever caused. The same will be true, to an even greater degree, of the new fully self-driving systems, he said.